As parents, we all get a little stressed out when our littles get sick. It’s a terrible feeling when your child doesn’t feel well, and you want to make them all better with just a hug – but that’s not how it works. Children typically develop four to six illnesses per year from ages 4 to 10 years. For children under 4, that number usually is between six and nine. Our worlds are turned upside down when our children get sick. Sleeping patterns change, appetite decreases and normal, daily activities are disrupted. As much as we try to comfort them, the truth is, when a child isn’t feeling well, the family routine changes, which can be hard for everyone. When it’s the middle of the night and your child wakes up crying and in pain, or, it’s just after dinner and they begin running a fever, you have choices. Option 2, urgent care – urgent cares are all over the metroplex. Urgent care facilities treat minor illnesses, such as sore throats, minor cuts and abrasions, and ear infections. All urgent care clinics are different. Some offer x-rays and labs on-site, others do not. Most urgent cares are ‘walk-in’ with no appointment necessary and some are open late at night. Option 3, emergency room/hospital – ER’s and hospitals are open 24 hours a day; weekends and holidays included. They are for emergency medical situations, such as high fever, broken bones, cuts and wounds, breathing difficulties, loss of consciousness, head injuries, chest/abdominal pain and severe nausea and vomiting. The physicians at hospitals and emergency rooms are trained to jump into action when there is an emergency. These places have everything needed to deal with minor and major medical issues on-site: x-ray, CT scan, laboratory and patient rooms equipped to handle overnight or extended stays. This is a sponsored post. For more information, please see our disclosure. 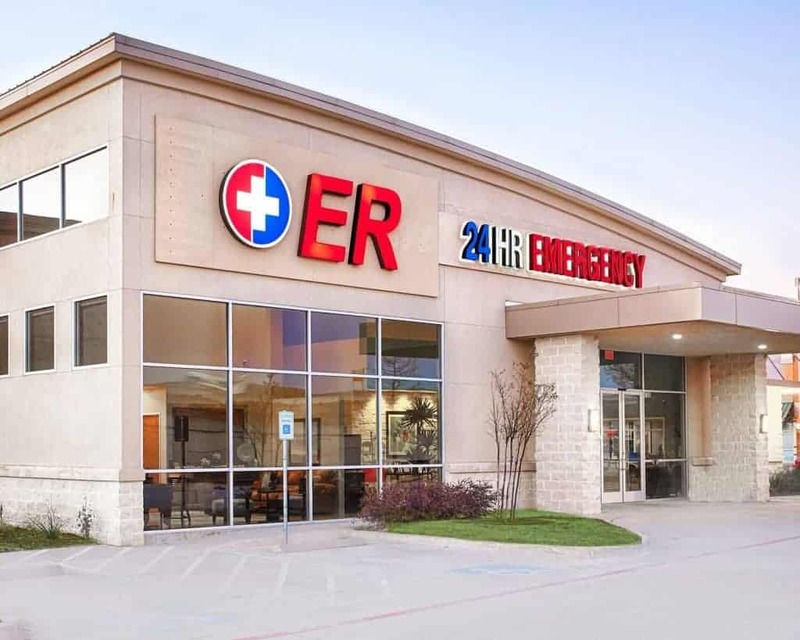 The Colony ER Hospital has a full-service emergency room staffed by board-certified ER physicians. As a hospital, we provide inpatient and outpatient lab services, x-ray and CT imaging. Observation and inpatient services are also available for patients requiring prolonged treatment and evaluation. Wait times at larger hospitals can be very long. Patients often wait for hours in the waiting room before ever being seen by a physician. The average decision time to ‘admit’ patients who need to stay in the hospital is close to four hours, and these patients are often waiting for more than six hours before being taken to a hospital room. Patients at The Colony ER Hospital have a very different experience. Check-in takes 2-3 minutes, and you’ll be brought to a private room and seen by a doctor immediately. Patients needing to stay in the hospital are moved to their observation or inpatient room within minutes after the decision is made. We designed the animal-themed pediatric room to be a place where kids will feel reassured and unafraid. The comforting and warm atmosphere has a fun bedroom feel that helps kids feel more like they are visiting a friend’s home rather than a hospital Emergency Room. 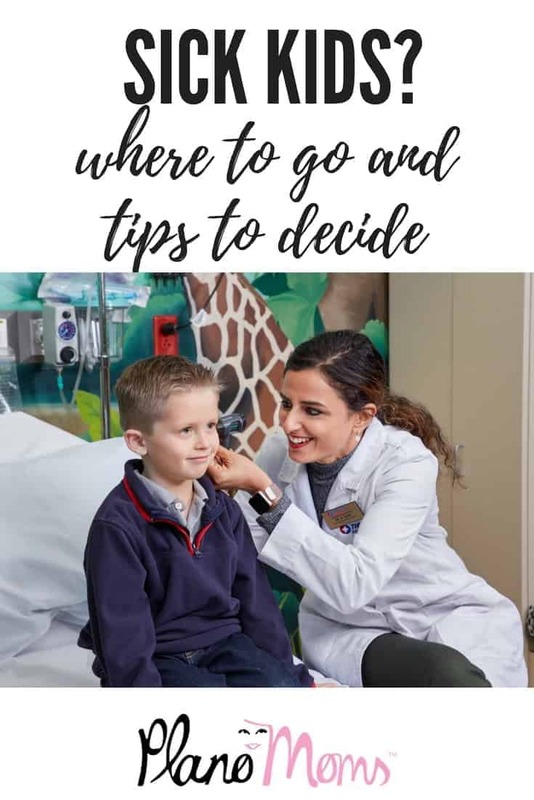 Along with activities to help keep them distracted, our friendly physicians and nurses are Moms and Dads too and will help put your little one at ease. What does this mean? It means we’re here to serve you. Our entire staff is dedicated to making your visit as comfortable as possible. Need a ride? We’ll call you an Uber. Feeling hungry during your visit? Our Director of Food and Clinical Nutrition Services, Krista, will order you and your child food selected from a variety of menus. Our observation and inpatient rooms are well appointed and luxurious with private bathrooms including a shower with toiletries provided. Family members are welcome and can comfortably rest while staying with their loved ones. We accept all major commercial insurance plans and honor all in-network rates for medical emergencies. Our healthcare rates are comparable to larger hospital facilities. We also offer flexible payment options. We understand that the medical billing process can be confusing. That’s why we’re partnered with Tyvan Billing and their dedicated patient advocate team to make sure you understand the items on your bill and to see that any concerns you have are immediately addressed. These are just a few of the reasons that The Colony ER Hospital is the right choice for you and your little ones. The Emergency Room is open 24/7, 365 days a year. 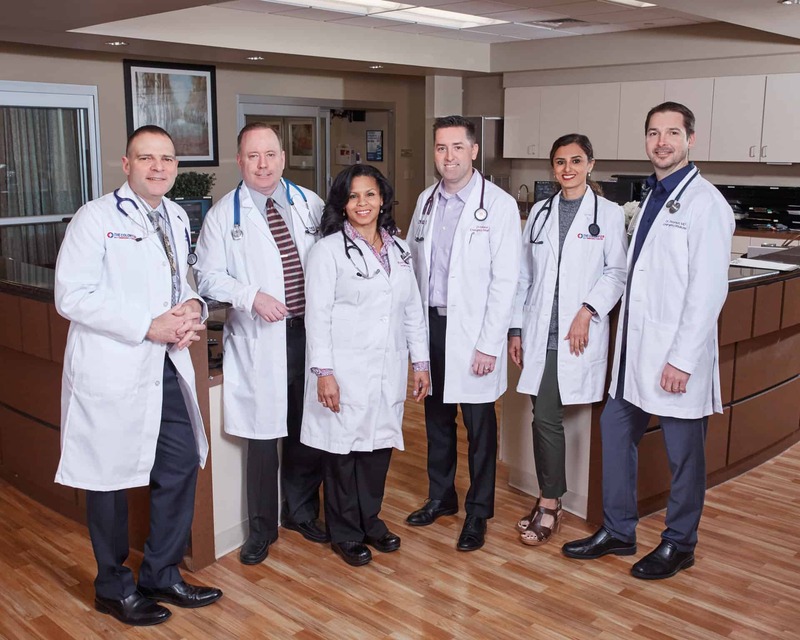 Whether it’s flu-like symptoms, an orthopedic injury, abdominal pain, or a headache, we are ready to provide you and your family with the high quality and compassionate care you deserve. 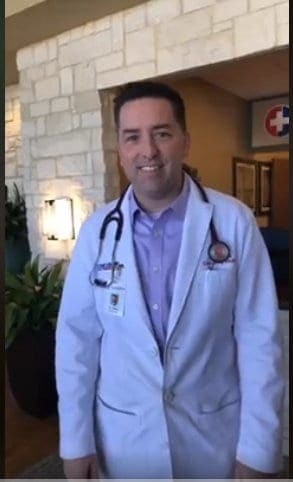 Come watch as Emergency Physician Dr. Robby Holland talked to Plano Moms about the flu! Click on the image below to go straight to the interview. Are you a Plano Mom? If you live, work or play in or around Plano, sign up for our newsletter to get weekly news, events and offers to your inbox. Join the Plano Moms community on Facebook,Instagram, and Twitter – connect with us and each other!